You can use an action to cause thick, black poison to coat the blade. The poison remains for 1 minute or until an attack using this weapon hits a creature. That creature must succeed on a DC 15 Constitution saving throw or take 2d10 poison damage and become poisoned for 1 minute. The dagger can't be used this way again until the next dawn. Proficiency with a dagger allows you to add your proficiency bonus to the attack roll for any attack you make with it. Simply put poisoning and high initiative boosts, if a rouge stays in the middle or rear marching order but lands first in combat initiative against say a tough creature such as a giant, they can take that chance to hide, then next round sneak attack, get that crit and poison the giant giving the entire team the benefit of the giant now having taken a large chunk of damage if good rolls plus the poison effect which is disadvantage on attack rolls and ability checks. 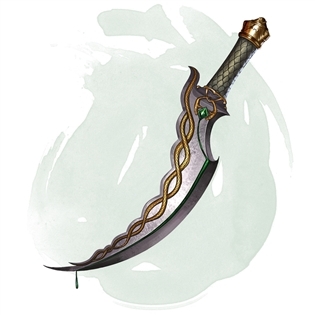 So think of this dagger as both a valuable tool and weapon combined in one.